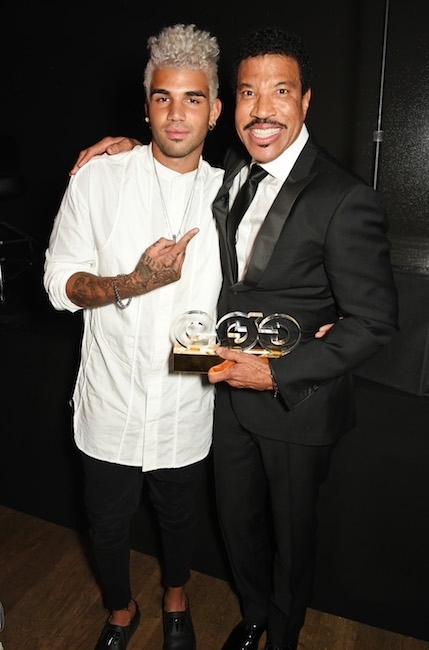 Lionel Richie’s son, Miles Brockman Richie, was detained by police at London’s Heathrow Airport after allegedly getting into an altercation with officials and claiming he was in possession of a bomb. “On Saturday, January 19, a 24-year-old man accepted a caution for communicating false information causing a bomb hoax and battery following an incident at Heathrow Terminal 5 earlier that morning,” a Metropolitan Police spokesperson told MailOnline but refused to confirm the name of the person detained. According to TMZ, Miles was issued with a caution and released. A caution is a formal warning given to someone who has admitted they are guilty of a minor crime and forms part of the person’s criminal record, according to askthepolice.co.uk Opens a New Window. He is friends with the Kardashian clan, including Khloé Kardashian Opens a New Window. and Kylie Opens a New Window. and Kendall Jenner Opens a New Window. and in 2014 made headlines when he let then-16-year-old Kylie tattoo her initials onto his hand while they were hanging out at a recording studio with Khloé’s boyfriend at the time, French Montana Opens a New Window.